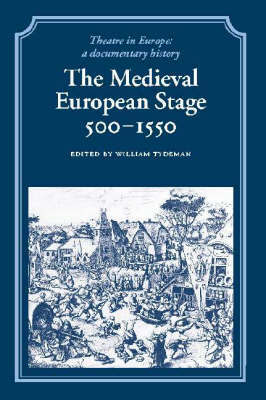 This volume brings together a wide selection of primary source materials from the theatrical history of the Middle Ages. The focus is on Western Europe between the fall of the Roman Empire and the emergence of markedly Renaissance forms in Italy. Early sections of the volume are devoted to the survival of Classical tradition and the development of the liturgical drama of the Roman Catholic Church, but the main concentration is on the genesis and growth of popular religious drama in the vernacular. Each of the major medieval regions is featured, while a final section covers the pastimes and customs of the people, a record of whose traditional activities often only survives in the margins of official recognition. The documents are compiled by a team of leading scholars in the field and the over 700 documents are all presented in modern English translation.